The juicy sweetness of apricots dried down with the clean, fresh floral tea fragrance of cut freesias blend together to create a beautifully uplifting fragrance. More information and product images can be found using the links above. 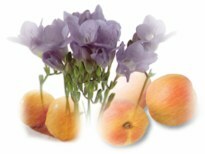 If you have ordered these products before and would quickly like to add Apricot Freesia products to your cart, you can do so using the quick order form below.